Need an easy, stress free Vacation? An inventor recently figured that if you can't walk around, getting tired dragging your suitcase, then you might as well sit on it and let it carry you! Yes that's right, you could ride up, looking totally chill, on your motorised suitcase. 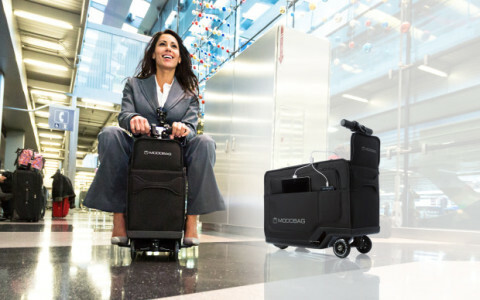 Introducing Modobag, the world’s first motorised, rideable luggage. Its fast. The suitcase, which travels at around 8mph and can go for distances of up to six miles at a time, is currently crowdfunding on Indiegogo and, with a month of fundraising left, it’s already almost trebled its original $50,000 (£38,000) goal.